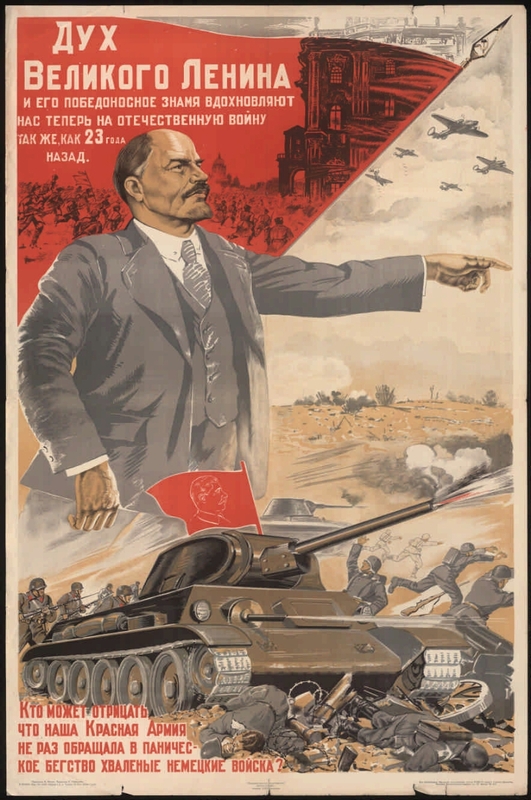 Electronic reproduction of the poster: The Spirit of the Great Lenin and his victorious banner inspire us now for the Patriotic War the same as 23 years ago [Izomaterial]: "Who can deny that our Red Army is once glorified German troops were panic-stricken "/ artist B. Mukhin; editor P. Piskunov. Moscow, Leningrad: Art, 1942. 1 sheet: color lithograph; 89x59 cm. Circulation 20000. L 102294, 1 rub. Location: Russian Academy of Arts. Scientific library. I. Piskunov, P. 1. 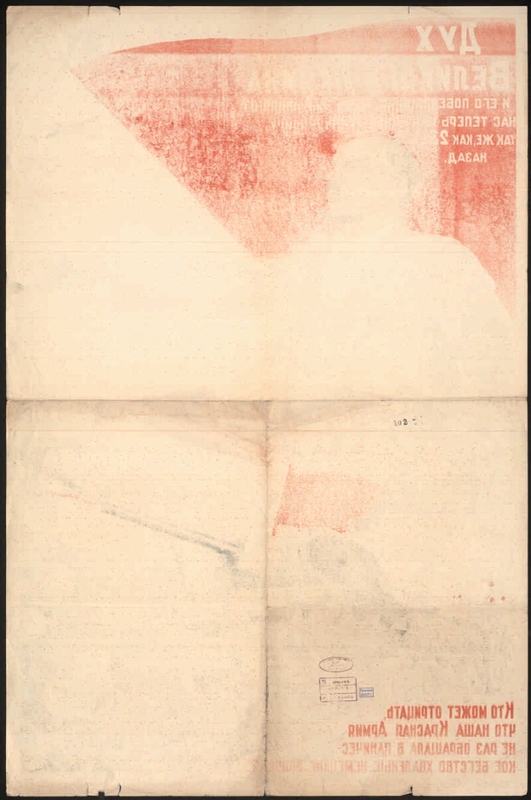 Lenin, Vladimir Ilyich (1870 - 1924) - Posters. 2. The people (the collection). 3. Memory of the Great Victory (collection). 4. The Great Patriotic War - Soviet propaganda and propaganda - 1941 - 1945 - Posters. 5. Posters - the USSR - 1941 - 1945.